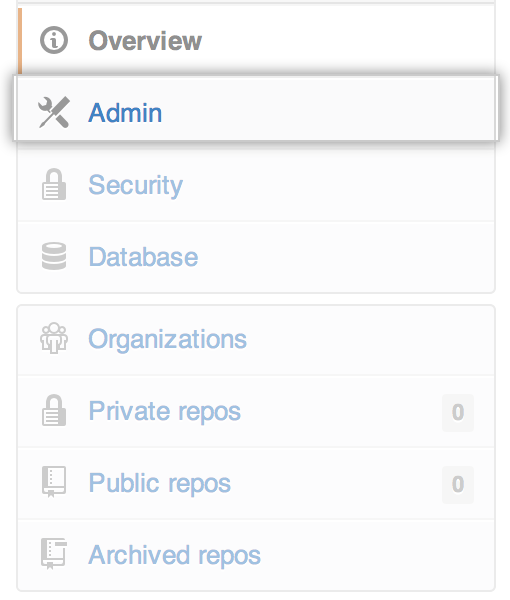 If a user leaves or moves to a different part of the company, you should remove or modify their ability to access your GitHub Enterprise instance. 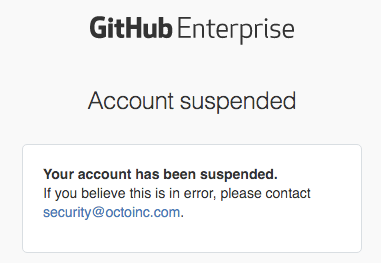 If employees leave the company, you can suspend their GitHub Enterprise accounts to open up seats in your site license while preserving the issues, comments, repositories, gists, and other data they created. Suspended users cannot sign into your instance, nor can they push or pull code. ERROR: Your account is suspended. Please check with your installation administrator. Note: If LDAP Sync is enabled for your GitHub Enterprise instance, users are automatically suspended when a user in Active Directory is disabled. When LDAP Sync is enabled for your instance, normal user suspension methods are disabled. 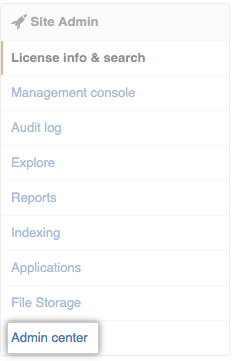 In the search field, type the name of the user and click Search. In the search results, click the name of the user. Under "Account suspension," in the red Danger Zone box, click Suspend. Provide a reason to suspend the user. As when suspending a user, unsuspending a user takes effect immediately. The user will not be notified. 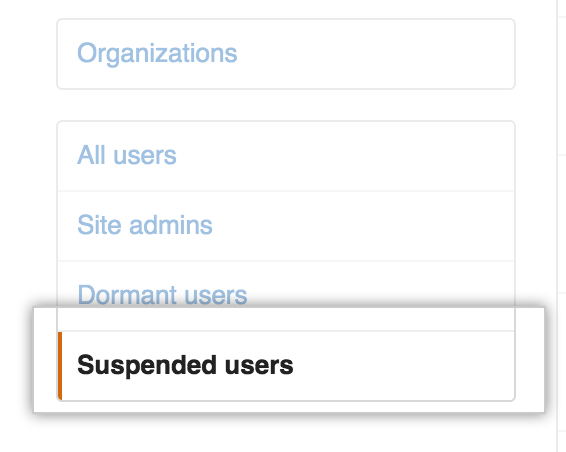 In the Site Admin settings sidebar, click Suspended users. Click the name of the user account that you would like to unsuspend. Under "Account suspension," in the red Danger Zone box, click Unsuspend. Provide a reason to unsuspend the user. Run ghe-user-suspend with the username to suspend. 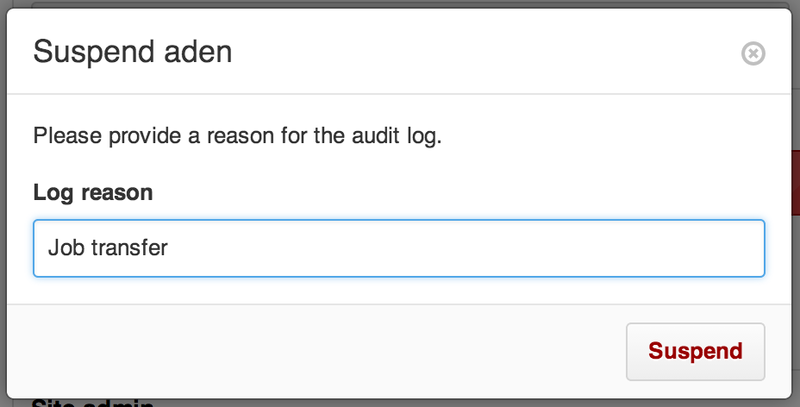 You can create a custom message that suspended users will see when attempting to sign in. Type your message into the Suspended user message box. You can type Markdown, or use the Markdown toolbar to style your message. 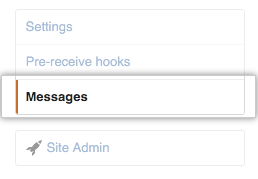 Click the Preview button under the Suspended user message field to see the rendered message. Run ghe-user-unsuspend with the username to unsuspend.